Forget the triple-figure dream cream! These simple health tweaks can work wonders on your complexion. Regular workouts increase blood flow to your face. So the fitter you are, the more you hold back the clock. Going to either extreme does nothing for your complexion. A healthy weight and a balanced diet will leave skin glowing. Vitamin C helps to make strong blood vessels and antioxidant vitamin E repairs skin damage by the sun and environment. Poor quality sleep triggers stress hormones that will make you look pale. 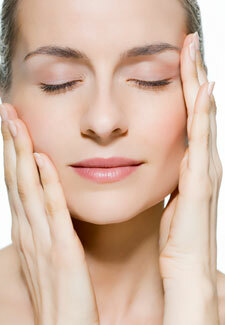 Plus, it’s at night when your skin is able to regenerate and repair the day’s damage for a smoother complexion. If you’re a smoker, you’re starving your skin of oxygen, which leads to thread veins and open pores – they both pile on years. The good news is that your skin will start to recover the moment you quit. Mash ¼ avocado with 1tsp olive oil for a quick facemask. Leave on for 5-10 mins then rinse off for an instant glow boost.